Below are some valuable ways to manage your personal information online, as well as tips for following safe browsing procedures. Please take a moment to think about whether your computer is safe. This is particularly important if the person abusing you may have access to your computer. If other people can access your computer, please take a moment to think about whether your computer is safe. This is particularly important if the person abusing you may have access to your computer. 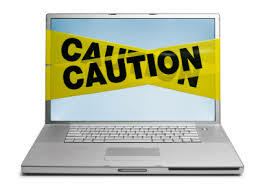 If you have any reason to think that your computer may not be safe due to Spyware, Keystroke Logging, Viruses, or someone monitoring your computer use in some other way, please consider finding a safer computer in your area and accessing the National Sexual Assault Online Hotline from there. Library Locator can help you to find a local public library that may have computers with free internet access. Public Libraries.com can help you to find a local public library that may have computers with free internet access. Community Technology Center’s Network maintains a membership directory that lists local community computer centers across the United States. Review steps you can take to manage your personal information on Facebook. Log in to your Facebook account. Browse to the right and click the Account tab. From here you can modify any of your account settings. For example, you can go to Password and click Change. You can then create a more secure password for your account. You can also select a Security Question that makes it more difficult for someone to change your account log in. Scroll to Privacy and click Manage. It is recommended that your settings do not allow account access to everyone. Try to maintain it to friends only, as indicated above. Once you have modified your privacy settings to your liking, click Apply These Settings. If you want to choose specific information that is viewable or blocked, you can click Customize Settings. The screenshot is indicated below. Ideally, you should set these to be visible to Friends Only for privacy purposes. Once you have set your preferences, you can return to any page. Return to My Account page and click Account Security. Your Facebook page and account are now secured to the preferences that you have selected, and will offer you a greater level of privacy, if you have chosen to do so. Remember, it is always recommended that you limit the people that can access your information on ANY type of social networking site. Allowing access to only trusted friends and creating strong account security is a good first step. Click Change and you can be notified of any account activity. Review steps you can take to manage your personal information on Twitter. Sign into your account by going to Twitter.com, browsing to the right and clicking theSign In tab. From here you can edit and modify a number of account settings. Scroll down and you will find areas you can edit privacy settings such as Tweet Location, Tweet Privacy, andHTTPS ONLY. Adding a location to your Tweets can leave you exposed to predators. If you choose to check this box, please make sure you are aware of who is following you and feel comfortable with them knowing where you are. When you protect your Tweets you are prohibiting them from being seen by the public. This is a good option if you only want to tweet to a specified group of people. NOTE: Tweets posted prior to protecting your Tweets may still be publicly visible in some places. Selecting HTTPS ONLY will help protect your account information by using a secure connection where possible to keep things encrypted. Blocking a user on Twitter will prevent them from following you and mentioning/replying to you in Tweets. Twitter does not notify a user when you block them. Please be aware that if you don’t protect your Tweets, they will still be visible to the users you block. Go to the profile page of the person you wish to block. Click the person icon (see below). Select Block from the options listed in the drop-down menu. Remember, it is always recommended that you not only limit the people that can access your information on ANY type of social networking site, but that you limit the information you provide. Choosing options like protecting your tweets or hiding your location are good practices, but even better is to share no unnecessary personal information on social networking sites that you would be uncomfortable being seen publicly. Limiting the personal information you share is the best way to maintain your privacy online and stay out of potentially dangerous situations. Quick steps to clear your browsing history on iPhone and Blackberry mobile devices. Choose Clear History, then confirm Clear History. Press Browser then select History. Choose what time frame you wish to delete and click the red X. Your browsing history is now deleted. Quick steps to clear your browsing history on Firefox (for PC). From an open Firefox browser, click Tools. Click Options and the following box pops up. Within the drop down box Firefox will select which option you would like. From there, click the Clear Recent History link. Once you have selected which Time Range to Clear, click the link for Remove Individual Cookies. Click Remove All Cookies to clear all of the cookies within your browser. Quick steps to clear your browsing history on Firefox (for Mac). Click on Firefox on the top and select Preferences. Choose the setting to manage your browsing history. From here, you can also clear your recent history or remove individual cookies for further security. The following screen-shots will walk you through this process. Click Clear Recent History and select the time range to clear. Click Remove individual cookies and select Remove All Cookies. Select either Remove Cookie to remove individual cookies or Remove All Cookiesto clear all of your cookies. To turn off Remember Passwords for Sites, simply click the check box next to it. If you want to keep it on, but set up exceptions for sites that you want to retain saved passwords for, then you can set that up through the Exceptions button on the right. Quick steps to clear your browsing history on Internet Explorer. On an Internet Explorer 7 browser page, click on Tools. Click Delete and the Delete Browsing History menu will appear. You can also set a specific time frame that you would like Internet Explorer 7 to save or delete browsing history. Quick steps to clear your browsing history on Safari. lick Safari and scroll to Preferences. Click the Security tab and choose whether to block or allow cookies. Once all settings have been set, go to History and scroll to Clear History. To clear the cache, go to Safari and scroll to Empty Cache. Click the Empty button and you are now ready to go.